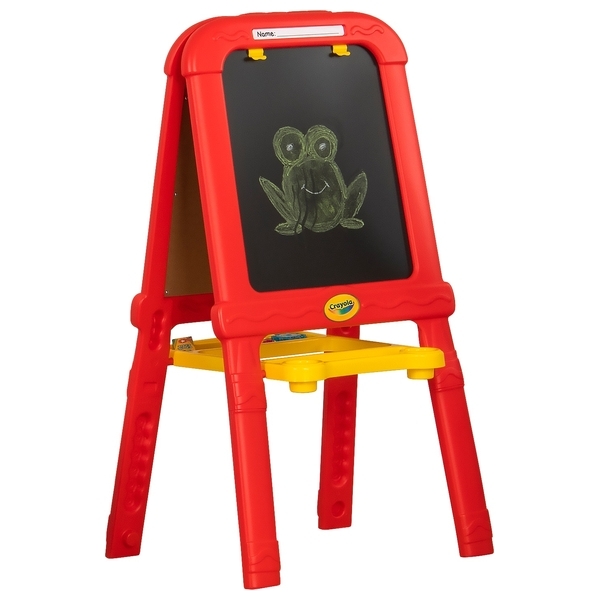 Crayola Creative Fun Double Easel has a magnetic board, a whiteboard, a chalkboard and includes a paper clip on the painting surface. It comes with a spacious tray to carry art supplies. Name tag on the easel provides a special personalized feature. Fun and creative accessories included. Foldable design for compact storage. With the Crayola Creative Fun Double Easel you have the perfect surface for a variety of drawing and painting projects.